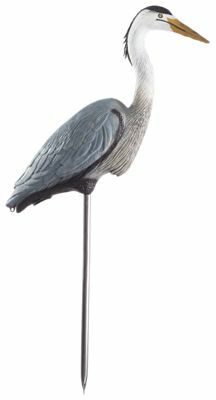 Protect your fish with the Blue Heron Decoy. The decoy keeps predators and other unwanted guests away from your pond. Remember is to relocate the decoy so it seems to move around. If left in one spot, predators may realize the decoy is fake.